Quotes about the Emancipation Proclamation. Union quotes are first followed by Confederate. As of December 21, 2011. 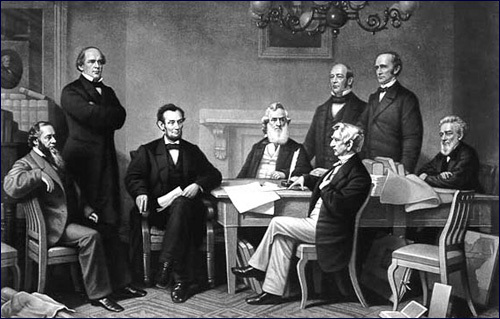 Lincoln’s remarks at the Cabinet meeting where he decides to issue the emancipation proclamation. From “General McClellan’s Bodyguard.” by Brooks Simpson. The Antietam Campaign. Edited by Gary Gallagher Chapel Hill: The University of North Carolina Press, 1999. From A Diary of Battle The Personal Journals of Colonel Charles S. Wainright 1861-1865 by Charles S. Wainwright edited by Allan Nevins. New York: De Capo Press, 1998. From Blue and Gray Diplomacy by Howard Jones. Chapel Hill: The University of North Carolina Press, 2010.